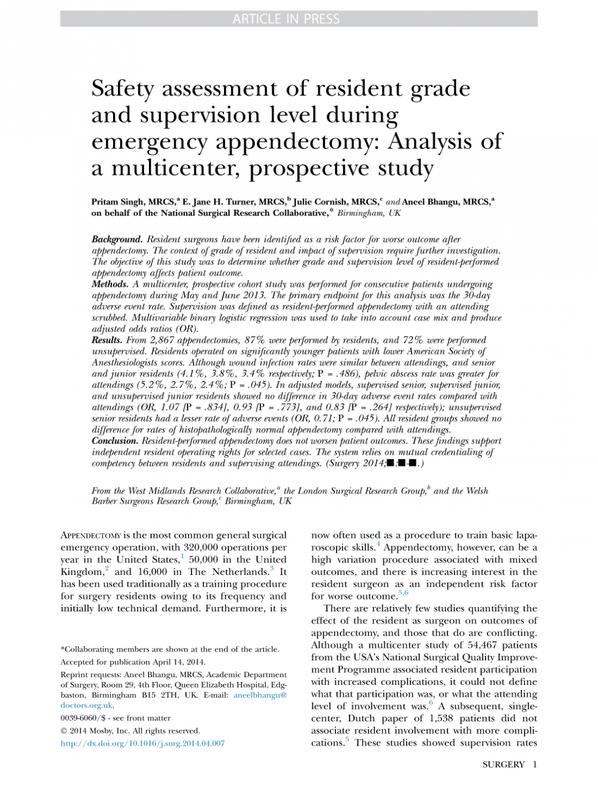 Safety assessment of resident grade and supervision level during emergency appendectomy: Analysis of a multicenter, prospective study. Surgery. 2014;156(1):28–38. Home » Portfolio » Safety assessment of resident grade and supervision level during emergency appendectomy: Analysis of a multicenter, prospective study. Surgery. 2014;156(1):28–38.